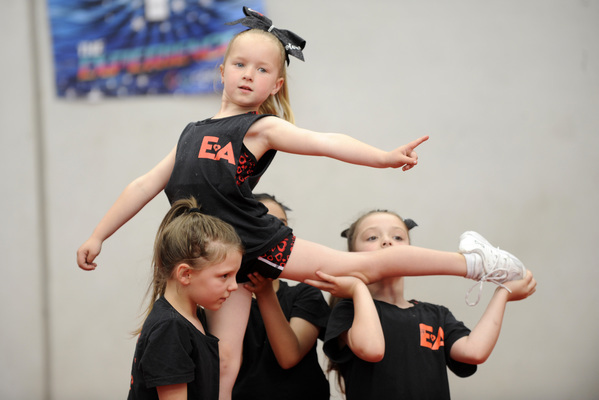 Evolve All Stars is helping athletes of all ages to cheer their hearts out. Founded by sisters Ascha Boag and Gemma and Bronte Miles, the Cranbourne West business has powered through its infancy, overcome stereotypes and burst onto the cheerleading scene in just under two years. So successful has the journey been that Evolve recently took home the 2018 Casey Cardinia Business Award for the Best New Business and its students took on the best teams from across the country at the 2018 Australian All Star Cheerleading Federation (AASCF) Nationals. Evolve’s adult team achieved a first, the junior 2 team came second in a divison of 17 teams, the Tiny Team came second and the Mini Team finished fourth in a division of 15. While 27-year-old Gemma and 23-year-old Bronte head the coaching team with more than 15 years’ coaching experience between them, 29 year-old Ascha steers the business side of the company. Prior to Evolve All Stars, the three sisters were working and studying separately, before deciding to join forces to create what would become one of Melbourne’s premier all star cheerleading gyms. But unlike many siblings, the three sisters had no worries entering into business together. “Our core values are all similar so in a lot of ways it’s easier because you’re all siblings so you’ve all been brought up the same. When your core values are the same, it’s just about bouncing ideas off each other,” Gemma said. “I also feel as though with families you can get away with a love-hate relationship,” Ascha added. 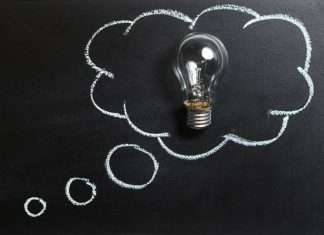 Aware that most businesses fail within the first year, the trio spent around 18 months planning their new endeavour, wanting to give themselves “the best chance“ at success. Making sure they had enough cash flow to sustain themselves for a year, they even predicted their worst case scenario in order to be fully prepared. Following thorough research, the sisters decided that the best location for their endeavour – and local children – was the expanding suburb of Cranbourne West. “We looked at growth areas and we found (that Cranbourne West) was rapidly growing and while there were a lot of families, there wasn’t as many activities because it’s such a new area,” Ascha said. The sisters then selected a warehouse within a developing industrial estate that met their safety and equipment specifications, and employed the help of their engineering and finance experienced partners to build and sustain the gym. Now all that was needed were students. “We liked to think that from day one we would have all these people in the door, but on the first day we were here no one came,” Ascha said. The girls’ fear was short lived as they took a proactive approach to their challenges. Employing the help of a friend, they quite literally had to put their new street on Google maps, and with no foot traffic passing through the estate, they took to placing signs on the sides of busy roads. Word of mouth also worked its magic and Evolve grew to cater for roughly 75 competition athletes who could compete across six age groups from under sixes to over 21-year-olds. But despite their growth, the girls still found that there was one ongoing challenge: the stereotypes surrounding cheerleading. While most people associate cheerleading with American high school and pom poms, all star cheerleading is actually an athletic sport that involves many components put together in two and a half minute routine involving stunting, tumbling, jumping and dance. The sport requires a high level of teamwork while also relying on participants to execute their individual roles. “We actually found that one of the hardest things was getting over the stereotype,” Bronte said. “Because we found that a lot of people didn’t understand what (all star cheer) was. So I feel like one of our biggest challenges is getting people through the door but once they’re here they realise how huge it is and that it’s not what they thought.